Spacious, bright room with cosy chairs and work desk. 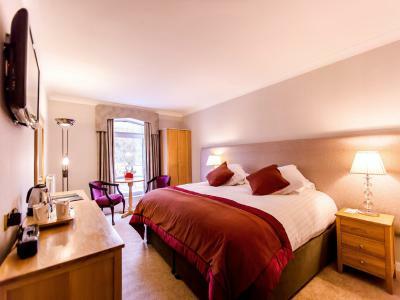 This room offers guests a separate work desk, telephone, in room safe, I-pod docking station, hairdryer, iron and ironing board, welcome tray, plasma TV screen and all rooms offer free WIFI. Room size is 6m x 3m approximately. Please Note: The Everglades Hotel is a NON SMOKING Hotel, this includes all bedrooms. Spacious, bright room with cosy chairs and work desk. 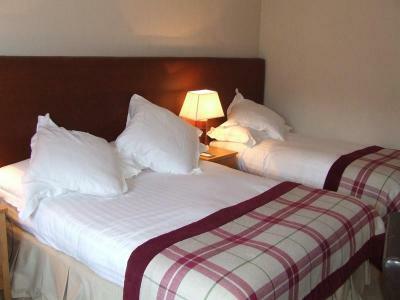 This room offers guests 2 single beds a separate work desk, telephone, in room safe, I-pod docking station, hairdryer, iron and ironing board, welcome tray, plasma TV screen and all rooms offer free WIFI. Room size is 6m x 3m approximately. Spacious, bright room with cosy chairs and work desk. 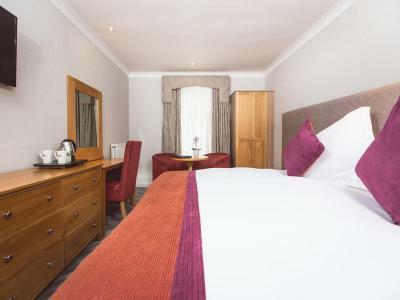 This room offers guests one double bed and one single bed a separate work desk, telephone, in room safe, I-pod docking station, hairdryer, iron and ironing board, welcome tray, plasma TV screen and all rooms offer free WIFI. Room size is 7m x 3m approximately. 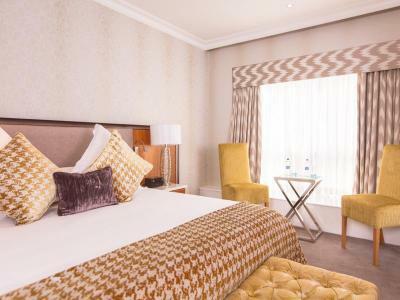 Our Junior Suites offer guests a bedroom with living area. Facilities include super kingsize bed, dining table and chairs, CD Player, a welcome tray, telephone voice mail service, plasma television, I-pod docking station, iron and ironing board, in room safe, separate dressing table with hair dryer, separate walk-in shower, 24 hour room service, bathrobes and slippers, complimentary mineral water and same day laundry and dry cleaning service. All rooms offer free WIFI. Breakfast is not included unless stated. Spacious, bright room with cosy chairs and work desk. 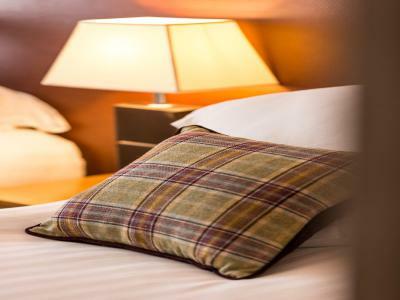 This room offers guests a king size bed, separate work desk, telephone, in room safe, I-pod docking station, hairdryer, iron and ironing board, welcome tray, plasma TV screen and all rooms offer free WIFI. Also includes Mineral Water, Bath Robe & Slippers & CD Player. Breakfast is not included unless stated. Room size is 6m x 3m approximately.